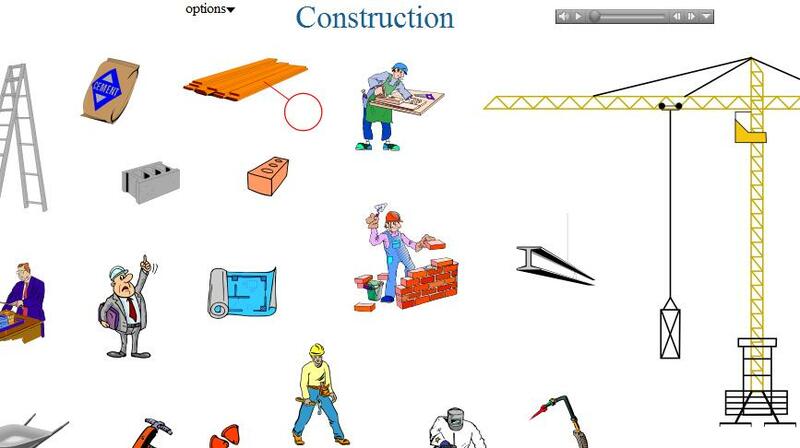 Practice English vocabulary related to the construction of building. Place your cursor over an image or text to hear it pronounced aloud. "Audio Quiz mode" is a great way to practice; to activate, click on "options" and then "Audio Quiz mode". When you hear a word, click on its picture. If you guess all of them correctly you win!